Lots of travel this year took us to lots of 2015 Airplane Fun. …whether they’re domestic or international. "No more Duomos," as one of our friends quipped once. 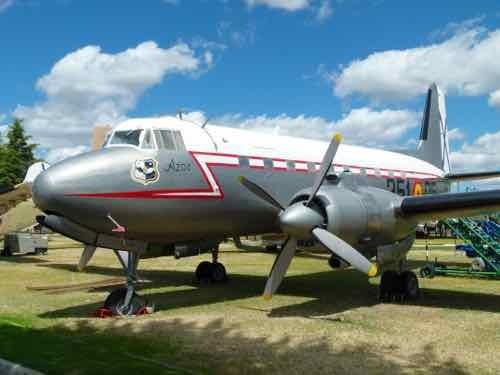 If you’re planning to travel anyway, why not find antique-airplanes too? That will start a slide show for you to enjoy. 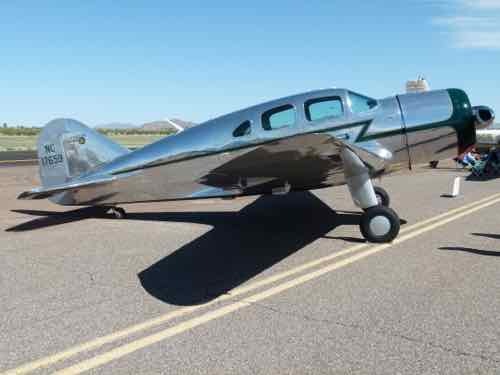 Casa Grande always has a fun little fly-in. We go in years when we go to Spring Training baseball and visit friends. Nothing really new or different this year, but many old favorites. Always love the look of a Spartan Executive. Armed with that little bit of information, we went to find the site. There really isn’t anything left of the garage. We found a mechanic who remembered that there used to be a plaque… still it was a fun exercise. 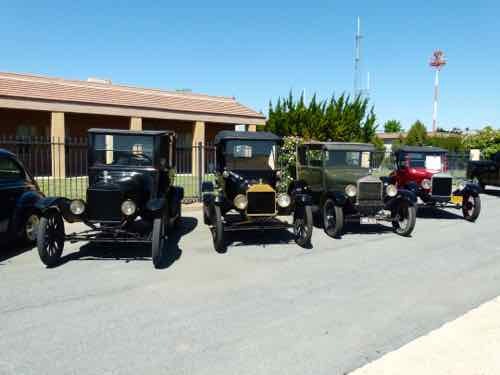 We were headed for some wine tasting with friends, but we knew one of the Ford Tri-motors was going to be at Paso Robles Airport… so of course we had to stop. 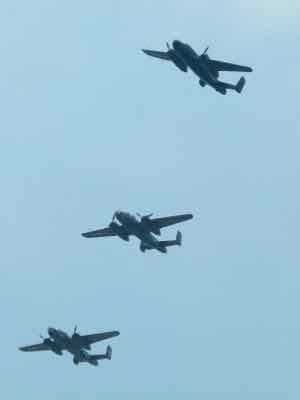 There were several old Ford autos to salute the old Ford plane. Mark loved the REO Speedwagon they had. 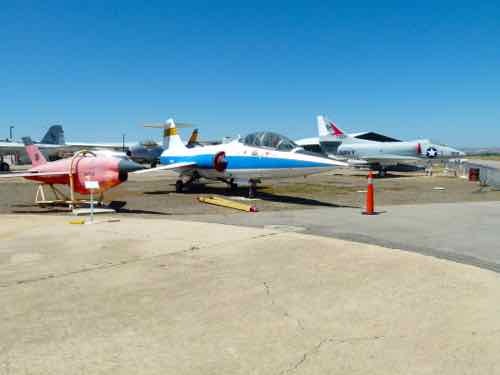 Aircraft are from the 1940s, 50s and 60s. 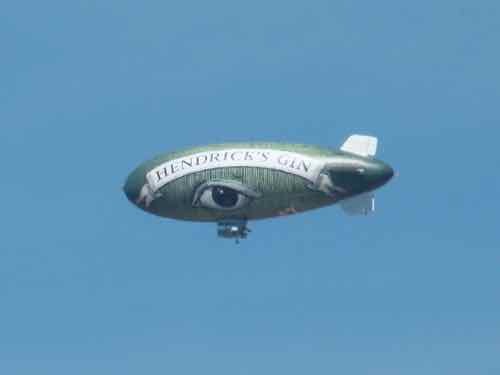 And the BLIMP is winning! We had a fun trip driving though the south of Spain. 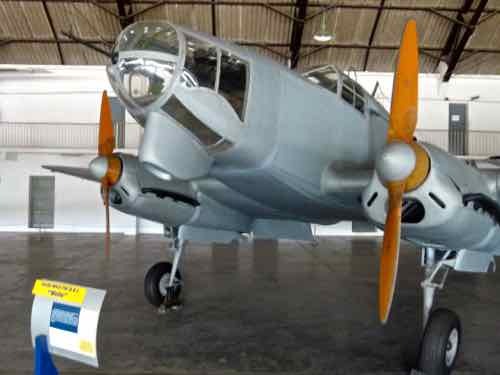 On our return to Madrid, we stopped at the Cuatro Vientos Airport to see Spain’s Museo del Aire. 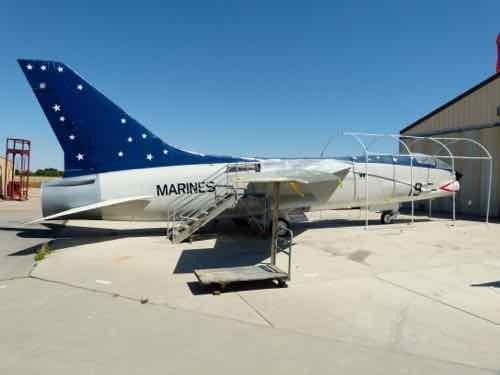 I gotta tell you, this museum is not easy to find, but they have a fabulous collection in six hangars… with some planes outside. Wish we hadn’t gotten so lost so we could have had more time! We actually moved our vacation to Spain forward a week so we could return and make it to Washington DC to see a special memorial flight. Victory in Europe at the end of World War II. See more on our Arsenal of Democracy Page. We were passing through Florida on our way to Brazil, so we made time to get down to Key Largo. ...as in the boat that was in the movie with Humphrey Bogart and Katharine Hepburn. 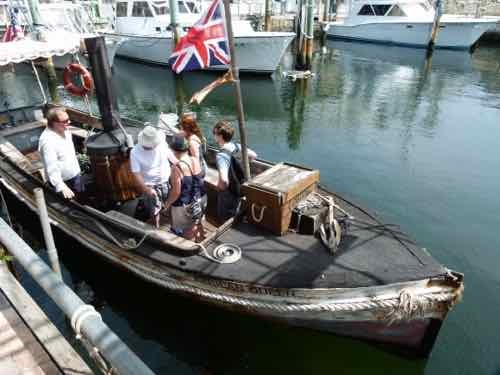 This historic little steamboat has been restored and takes tourists on rides along the Port Largo Canal. 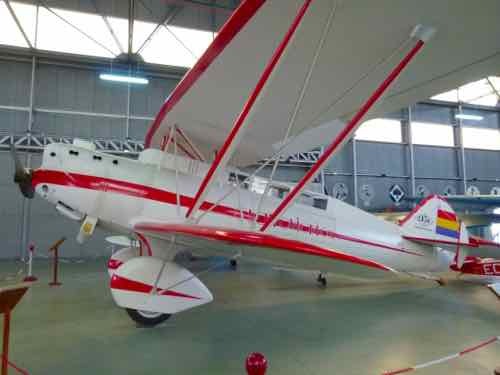 Alberto Santos-Dumont was born in Brazil. 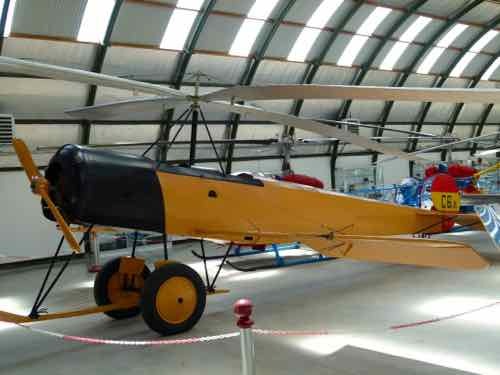 He was an early aviation pioneer. Most of his flights were done in France, but he is a hero in Brazil. 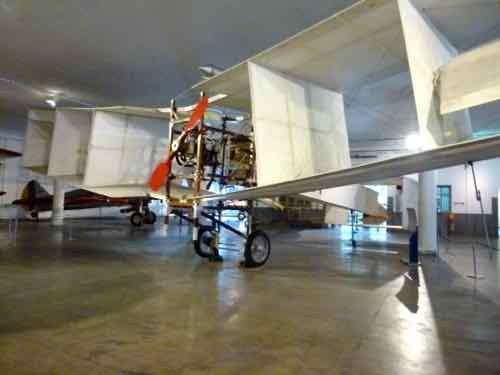 There are two great aviation museums… both have replicas of his early heavier that air aircraft… Santos-Dumont 14-bis "Canard". TAM stands for Taxi Aereo Marilla. 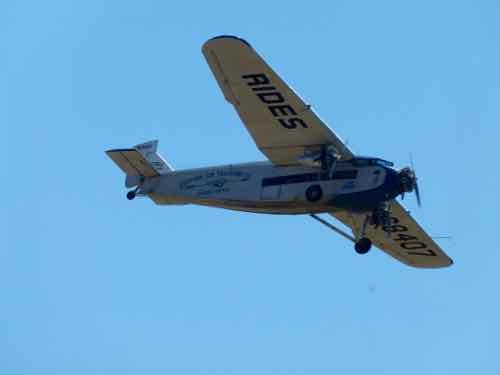 The airline started as a small air taxi service. The museum chronicles that and aviation in general. It's located about 4 hours northwest of Sao Paulo, but if you're adventurous enough to get there... it's worth the trouble. 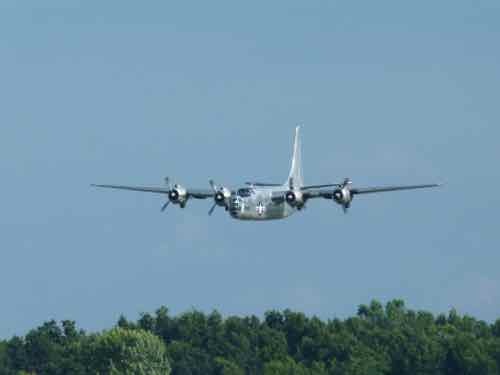 We love going to Oshkosh every couple of years. There were some great planes again this year. Lots of WWII warbirds because it was 70 years since the end of WWII. Mustangs all over the place. And some really rare planes... like this one-of-a-kind Consolidated PB4Y-2 Privateer. This was 2015 airplane fun at its finest. You might be surprised how many aviation related places we found to visit in Ireland. We landed in Shannon, rented a car and drove immediately to the little town of Foynes where we visited the Foynes Flying Boat Museum. 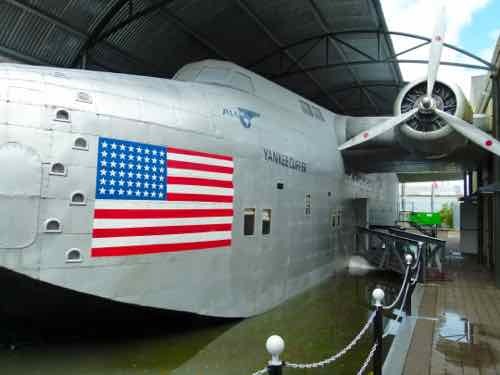 Foynes was the port for flying boats. 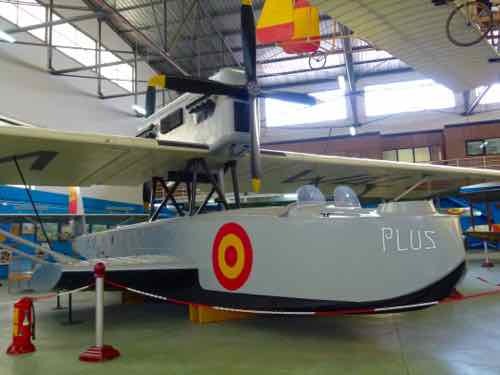 There is a full size replica of a Boeing 314 Flying Boat. We included Portrush in our Irish itinerary because they were having an air show and the British Vulcan was making a flight over the show in one of its last flights ever. 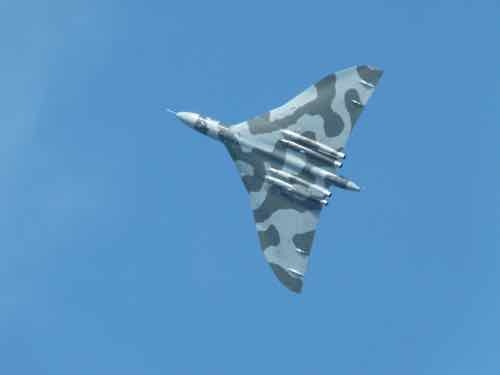 Avro Vulcan "The Spirit of Great Britain"
We were lucky enough to see her fly years ago at a British air show, and Mark wanted to see her one last time. I was skeptical, wondering how they could have an air show in a city with no airport, but it all worked. The weather was beautiful. Everyone was there to say goodbye to the Vulcan. When early aviators were attempting flights across the Atlantic, they were aiming for the western shores of Europe… and Ireland was one of those targets. British aviators John Alcock and Arthur Brown made the first non-stop Trans-Atlantic flight June 14-15, 1919. They flew a modified WWI Vickers Vimy bomber from St. John’s, Newfoundland to Clifden, Ireland. There is a monument on a hill hear Clifden, but you must look way off into the bog to see where they landed. It was not possible to drive to the spot when we were there. Got in so much 2015 airplane fun because we traveled a lot this year. Feel free to go to one of our "Help Us Out" pages and tell us about 2015 airplane fun you had. We'd love to hear about it. Looking for more shows and museums to visit next year. Return from 2015 Airplane Fun to Home Page.